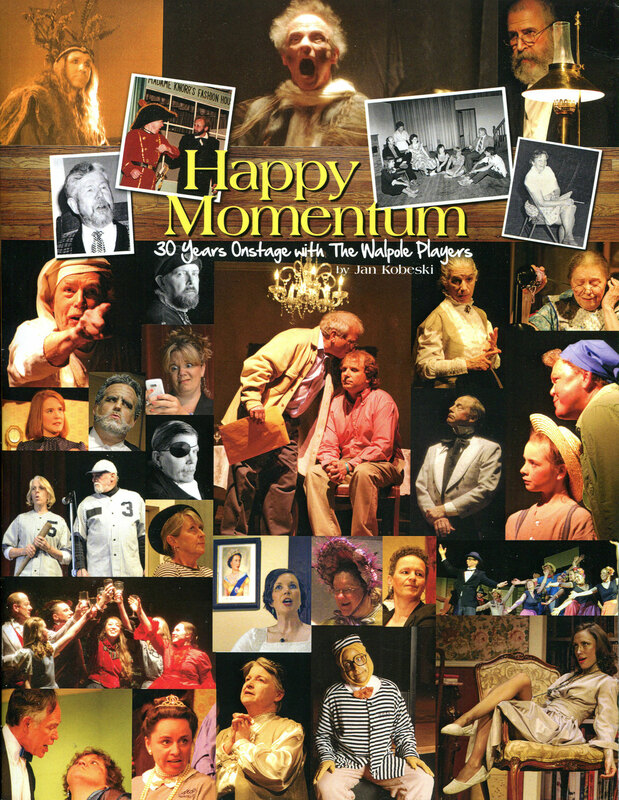 You may have heard the news, you may have seen a copy, but you still have a chance to own a copy of Happy Momentum: 30 Years Onstage with The Walpole Players, by Jan Kobeski. This Old Home Days, The Walpole Players celebrated its 30th anniversary by performing George Washington Slept Here – the Players original production during Old Home Days in 1987. Looking forward to completion of this third decade, a search for posters, programs, photographs and related ephemera proved tremendously fruitful. Material was collected on all 30 years of productions, the Junior Players, Theater Camp, A Christmas Carol, and more. The result is an 88 page full-color book, created by Jan Kobeski, taking you through a nostalgic memory filled trip of Players’ history. Priced at $15, copies are available at Joanie Joan’s Baked Goods Company on Westminster Street in Walpole. If you would like a copy mailed anywhere in the US for $20, contact Ray Boas, or make arrangements at Joanie’s. And, in case we miss someone with this posting, please spread the word.